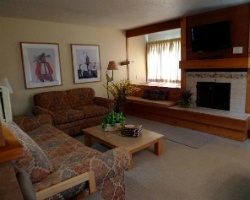 *Jackson Hole Racquet Club* offers a long list of amenities. You will find a health club with seasonal outdoor tennis courts and outdoor pool, exercise equipment, and much more. The Jackson Hole ski area, only five minutes from the resort, covers more than 3,000 acres of terrain. 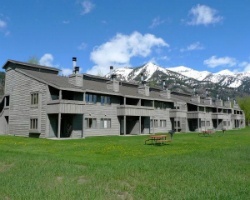 Summertime visitors can enjoy the adjacent Arnold Palmer Teton Pines Golf Course (which converts to cross-country skiing in winter), go on a raft ride down the Snake River, or take the 15-minute drive to Grand Teton National Park, and visit art galleries, shops, fine restaurants, and nightclubs. Great resort option for outdoor lovers! 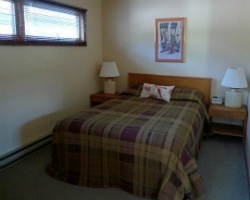 Close to Yellowstone National Park and Grand Teton National Park! Week 6 every year! Inquire for details! Motivated seller! Scenically located at the bottom of Teton Mountain Range! Buyer receives complimentary closing credit; inquire for details!